Sony announces new Full HD 3D home cinema projector | What Hi-Fi? 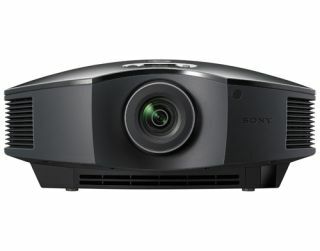 If you're in the market for a new Full HD, 3D home cinema projector costing less than £2000, you may be interested in the newly-launched VPL-HW40ES from Japanese tech giant Sony. The new model hits the shelves this month with an expected price-tag of €2200 (approximately £1800), adding to Sony's home cinema range alongside the five-star VPL-HW55ES. The VPL-HW40ES includes 1700 lumen colour brightness thanks to an "improved optical engine"; Bright TV and Bright Cinema modes; and a built-in IR 3D transmitter. The Reality Creation function developed for Sony's 4K home cinema projector also features, which aims to reproduce the colours and textures lost when movies are put on disc. You will also find an extra-wide lens shift range to give you more options when it comes to placing the device, as well as a quiet noise operation level of 21dB. Thomas Issa, product manager for home cinema projectors at Sony Europe, said: "This is a huge step forward for our home cinema range, offering an exceptional viewer experience in both 2D and 3D. "Contrast Enhancer, Motionflow technology, and Reality Creation all help the VPL-HW40ES deliver a brilliant home-cinema experience for the discerning cinephile."